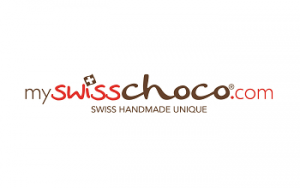 We are offering the first 100% Swiss Chocolate franchising on this formula and combination worldwide. Our chocolate, our own recipes and products combinations, make the concept even more unique. The main features of our format are shops in a modern mountain chalet style combined with an assortment entirely based on 100% Swiss Chocolate with exclusive recipes from our Swiss Pastry Chefs. The products are directly produced by our laboratories in Switzerland and sent to the shops. A range of products will be finished and decorated in the shop in front of customers along with some fresh products like chocolate/coffee drinks, crepes and soft ice cream. To enhance the care and attention of each single product, our products are all handmade with our high quality Swiss Chocolate. Brioches: Our own chocolate Brioches. We are the first and only 100% Swiss Chocolate company offering a formula like this. Our chocolate and recipes are unique and 100% Swiss made (High Quality Chocolate). Our Swiss Show Cooking: In order to exalt the chocolate, some products are finished inside the shop right in front of the customers' eyes. We deliver the products ready for sale, including chocolate products, the base to cook the crepes, the brioches, coffees, base of soft ice cream and products to be finished in the view lab. We deliver 100% of the shop, including structural works, "ready to start" (Cash register and production/order software included). Wide product assortment and combinations. We guarantee training and ongoing support. Simplicity in the process and shop management. Competitive entry fees and royalties. Unique and elegant Shop Design. We give the opportunutiy to our partner to use the Swiss and Switzerland Brand. (NewSwissness Law, January 2017). What is Included in the Entry Fee and Royalties? Use of our brand and full knowledge. Full training and operations manual (onsite training included). Support for site selection and lease negotiations. Marketing support and corporate design. Software (Cash register system and production/order software). Opening and testing on site. What is Included in the Structural Works? Check and support on site from our architects (not included for mySwissCube). Complete structural works and building of the shop, by our team. Submit the form below now to receive more information about a franchise partnership with MySwissChoco.